Women and Girls Lead Global harnesses the power of media to improve girls’ and women’s lives in nine countries worldwide. Working in Asia, Africa, the Middle East, and Latin America, Women and Girls Lead Global (WGLG) is bringing documentary films into mountain villages and urban classrooms alike, sparking conversation and inspiring action around issues such as child marriage, teen pregnancy, and gender-based violence. Women and Girls Lead Global is a public-private partnership between USAID, the Ford Foundation, and ITVS, working in collaboration with CARE. 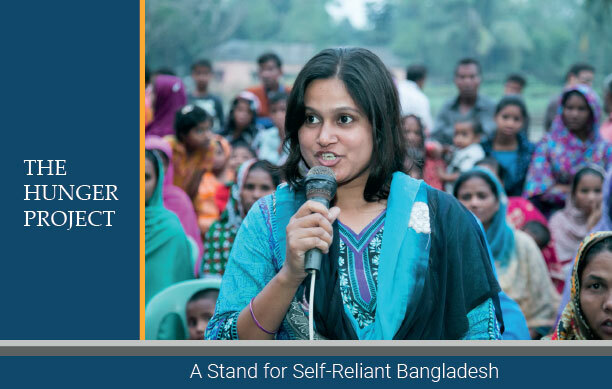 The Hunger Project-Bangladesh and Women and Girls Lead Global is implementing Our School Campaign program.